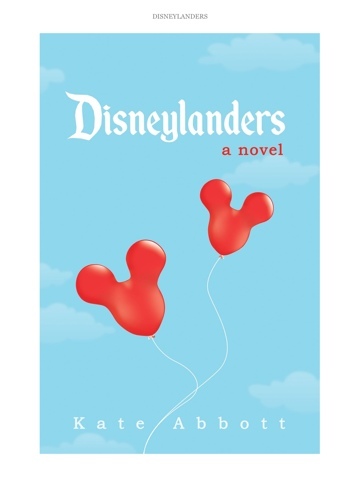 I found myself reading a few non-spoilery reviews of Kate Abbott's novel Disneylanders, and my curiosity was piqued. While I love a good fun read that takes place in or around theme parks, I find that a lot of them focus too much on establishing setting- as though they're continually trying to convince the reader that we really are there- at the expense of honest and engaging storytelling. Other times, the details are often wrong and a sense of the outsider perspective tends to pervade. From everything I've heard so far, Disneylanders avoids these problems, and in the very best way. I'm about to delve in, and I'm very excited. song, attraction, show, or spiel. Some are really easy. A couple are really hard. As you read Casey's Disneyland story, see how many you can solve. Answers are in the back. Details about Kate Abbott's Disneylanders can be found here. Ooohhhhh.....intriguing! Can't wait to hear more!